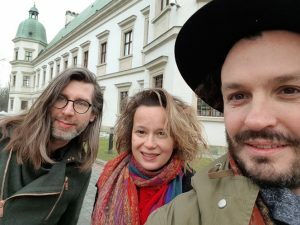 Artists at Risk’s Ivor Stodolsky and Marita Muukkonen shared a panel with the artist and former AR-Safe Haven Helsinki Resident Erkan Özgen at the Ujazdowski Castle Centre for Contemporary Art, in Warsaw. 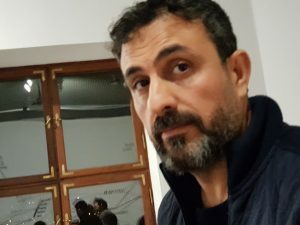 The program included a screening of Özgen’s disturbing and deeply moving work, “Wonderland” (2016). 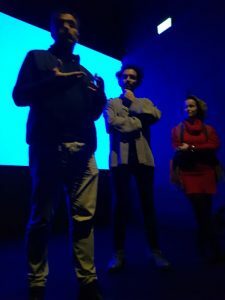 Erkan Özgen, Ivor Stodolsky and Marita Muukkonen after the screening. 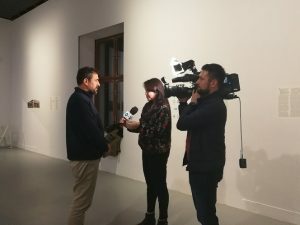 Erkan Özgen was interviewed by Polish state television news, as were Ivor Stodolsky and Marita Muukkonen of Perpetuum Mobile. 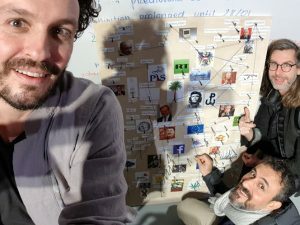 Ivor Stodolsky and Erkan Özgen with Dorian Batycka in front of his art work. 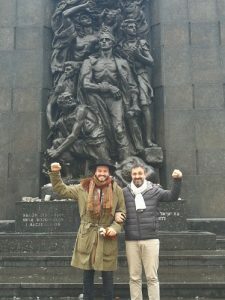 Ivor Stodolsky and Erkan Özgen commemorating the Warsaw Uprising. All Rights Reserved. 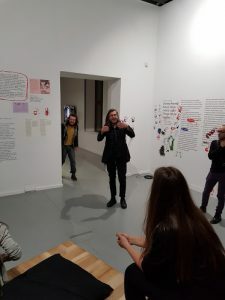 Copyright Perpetuum Mobilε / Artists at Risk 2013 - 2018.